A new report proposes a framework by which open educational resource initiatives — and particularly those promulgated by for-profit organizations — can be measured. 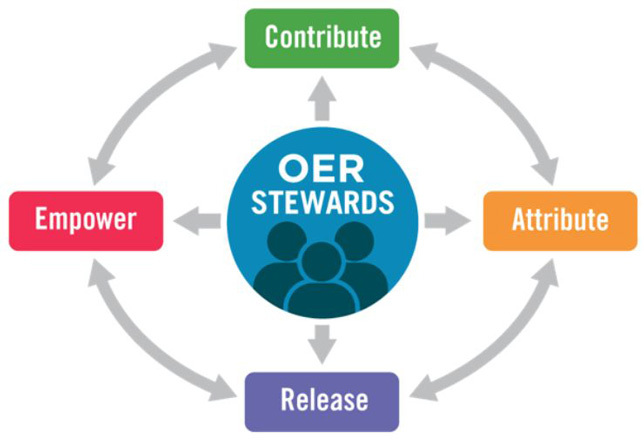 "Toward a Sustainable OER Ecosystem: The Case for OER Stewardship" has three purposes according to its authors: to help make sure "the OER community's values can be maintained as the movement scales"; to gauge the practices of "new entrants" to the OER field (especially those out to make money from it); and to build educator confidence in participating in OER, including those who contribute their own materials and may be uncertain regarding its use by for-profit publishers. The CARE framework, as it's called, is applicable to all OER stakeholders — or "stewards," as the framework refers to them. Those include individuals, schools and affiliated organizations, both nonprofit and for-profit. Empower: Stewards "strive to meet the diverse needs of all learners" and encourage participation by "new and non-traditional voices in OER creation and adoption." The next step for the framework, according to Doug Levin, co-author of the report and president of EdTech Strategies, is to solicit stakeholder reaction, "to see what questions get raised and where we may have missed the mark or omitted something important." "This isn't intended to be a document that orgs would sign on to, but there are many ways that it can be used to build a consensus in the field about expectations for those who want to work with OER and gain the support of the community," Levin explained. Levin, along with his co-authors, Lisa Petrides, CEO and founder of the Institute for the Study of Knowledge Management in Education, and C. Edward Watson, an associate vice president at the Association of American Colleges and Universities, expects to present on the framework at education events over the coming year. The group also plans to release follow-up supplemental materials shortly, such as example practices "to help operationalize the framework and make it more concrete," he said. After that, "we'll see where we go." The paper is available online at a new website and was distributed under a Creative Commons CC BY SA license.